The smaller and slower variant of Apple’s iPad Pro was iPad Mini 4 and according to latest specification and benchmarking details, we now know how well the tablet is going to perform when pitted against the remaining product lineup from Apple. Let us take a look. According to a source, the hardware details of iPad Mini 4 reveals that the slate has been incorporated with Apple A8, which is the only reason why it is unable to overtake iPad Air 2 in the benchmarking tests that you will see (image placed below). However, the device is able to beat iPhone 6, which ultimately means that iPad Mini 4 will effortlessly be able to beat iPhone 6 Plus as well. 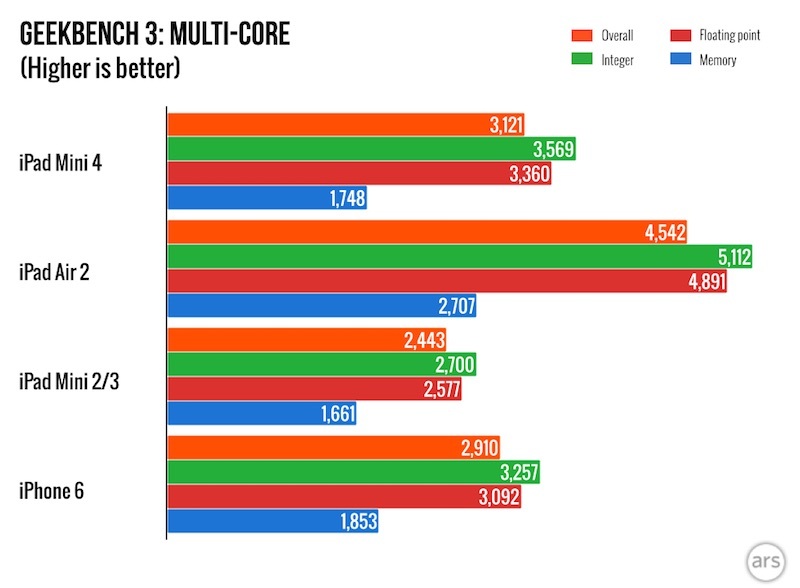 Despite the fact that iPad Mini 4 is running the same chipset as Apple’s previous generation flagship smartphones, the clock speed on the newly announced product is slightly higher than iPhone 6 and iPhone 6 Plus (1.5GHz running on the tablet as compared to 1.4GHz running on these two smartphones). However, this is not the biggest difference separating iPad Mini 4 from the iPhones. The biggest difference is that it has twice the amount of RAM as the iPhones, which is standing in at 2GB, and is the same amount that is present in iPad Air 2. According to the information present on Apple’s website, iPad Mini 4 will be able to deliver up to 10 hours of battery life, which is the exact same time that iPad Pro is able to give to users. 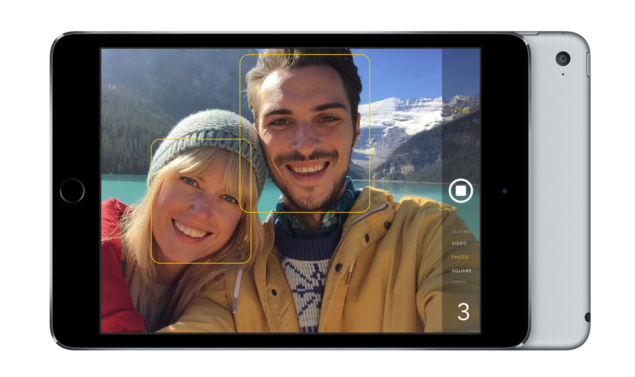 The tablet comes with a price tag of $399, will be available in November and will come running Apple’s iOS 9 update. After witnessing the performance of iPad Mini 4, do you guys think it is a worthy upgrade? Let us know your thoughts. 2017 iPad and iPad mini 4 Comparison Chart: How Well Do These Stack Against Apple’s Remaining Tablet Family?